The Canine Welfare Alliance of Australia (or Canine Welfare Australia), is small not for profit, volunteer run, foster based, pro-life canine welfare and rescue group based in Perth, Western Australia. Our organisation is the first of it's kind, and was set up to fill a gap in the canine welfare industry, by providing a comprehensive approach to save dogs who required a little extra assistance to find their forever home. One of our aims is to rescue, humanely rehabilitate and appropriately rehome dogs which would otherwise be left behind or forgotten. With a focus on staffy, bully and molosser breeds, we work with councils, veterinary clinics and other industry professionals around Australia to decrease euthanasia rates of all canines. We provide an individualised rehoming program for each dog which enter our care, in the hope they never find themselves in the system again. Furthermore provide a referral, advocacy and support service to dog owners who require assistance to keep or care for their dogs. We feel if owners are presented with adequate resources and appropriate advice, it reduces rehoming and euthanasia rates, as well as improves public safety and quality of life of canines. We also campaign to improve penalties for the abuse or neglect of canines; advocate for the removal of breed discriminatory legislation, including promotion of responsible canine ownership; and campaign to introduce consistent, progressive and humane welfare management practices for all canines. It is our belief that all dogs have the ability to be social, well behaved community and family members, given the right opportunities, and provided with the right environment, training and guidance. Looking to adopt a dog in need? The first step is to give us call for an over the phone interview and to discuss the individual needs of the dog during hours of 9am to 5pm daily. We aim to match the dog to the home and lifestyle best suited to their needs. If all parties feel it is a good match for everyone, we will ask you (and any family members who regularly stay in your home) to attend a meet with your chosen dog. We will also arrange a check of your home and boundary fences, to ensure they will adequately contain your chosen dog. If you rent, a letter from the real estate stating you can have a pet will need to be provided prior to adoption. If all parties wish to proceed to the next step, your chosen dog will be dropped to your home by his or her foster carer, we will ask you to complete an adoption contract, and payment of adoption fee is taken on the day by bank transfer. All of dogs come on a two week trial period to allow the dog to settle in comfortably and provide any support needed during this time. Once the trial period is over and funds have been received, all paperwork will be sent to you and you now are the lucky owners of a rescued canine. Best mate looking for a foster home. Toohey is currently in a country pound and is in need of a suitable foster home (he can also go into a foster view to adopt). He will be arriving in Perth this week and will then be available for meets. We feel Toohey would be best suited to carers that are active, confident and committed to furthering his existing training. He is a friendly guy with pound staff so a young couple or family with older teens would be great. Toohey has lived with a female dog previously and would probably like to share with another. Watch this space for updates and to learn more about this very handsome little man. Introducing our super adorable itty bitty stubby dog, Rex. Our beautiful Rexy was on death row in a NSW pound after his owners surrendered him at the age of 10 years. He has been rehomed from the same pound 6 years prior and then returned with untreated health issues. So when his time was up after several months of doing time, we offered to fly him to WA to find a fantastic retirement home. Rex is a super friendly guy who enjoys the comforts of indoor life and being a family man. He is exceptionally well behaved, house trained, good in the car and listens to all commands. 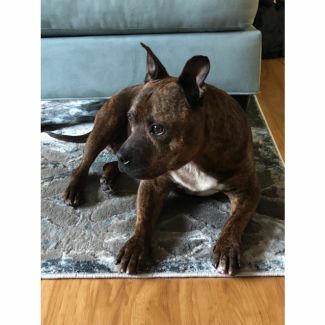 Given his age, Rex would appreciate a quiet home where he gets to go on a short walk each day, which he looks forward to. At this stage we haven’t tested Rex with dogs and cats but we feel a home without other pets would be ideal. Though he may be able to adjust to living with a similar sized older female canine companion upon a meet. Rex is very good with kids, but probably prefer a home with older kids or just adults at this stage join his life. He would be perfect for retired couples otherwise is happy to chill on his own during the day for those who work. Rex unfortunately arrived in care with some pain and weakness that needed to be investigated. After extensive xrays it has been found to be related to age and arthritis. He will require supplements and pain meds for the rest of his life to help his movement. Sadly we don’t think Rex has had a very good life, as he also required numerous teeth to be removed. His past hasn’t stopped Rex wanting to live life to the max, and he is otherwise a very healthy chap, after all the TLC he has received since coming into care. Rex loves his walks and meeting new people. If you would like to know more about newest cutie patootie, feel free to give us a call. Becca - Adopt or foster me! This stunning lady is Becca, who has been patiently waiting for someone to give her a fairy-tail ending. 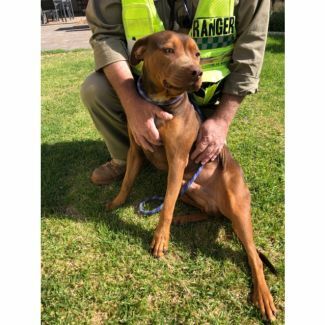 Becca came to Canine Welfare Alliance of Australia about 10 months ago and we don’t know why she is still sitting in a kennel waiting for foster. Despite being athletic in her appearance and capabilities, beautiful Becca is actually a low energy dog, who is happy with a short walk once a day. Her sleek coat and medium build, make her the ideal dog for those who want an inside dog. Becca could be matched with an older larger low energy male doggy friend, though would be best as an only dog for now, as she forgets her manners sometimes. Unfortunately she is not a fan of the kitties. Becca is great with most people she meets but can be a bit unsure sometimes, so a chilled out adult home would be ideal fit for her needs. Being exceptionally smart and responsive to training, she thrives when she is learning! Becca already knows how to sit, shake and lay down, and sleeps in her bed when told. She is all ears when her special treats are involved, and is eager to please. Becca also enjoys enrichment puzzles, loves when she has a job to do and could excel at agility with some training. We can see her enjoying adventures or she would be just as happy to stick to local leisurely walks. Some of her favourite past times are sun baking, chewing on a pigs ear or playing with some of her toys. Otherwise she considers herself a couch buddy, so she would be just as comfortable hanging out watching movies. As she is only a young sweetheart herself, Becca has endless potential - she is just waiting for someone to unleash it in her. If you think you can give gorgeous Becca the home life that she needs, please touch base with us. She truly is a unique loving affectionate girl who has waited long enough to find her forever home. Becca has a small frame around the 23kg mark. Introducing Eddie, a kid loving staffy who would appreciate a family to join. From what we know from his background, Eddie would visit the kids at the school in the town he lived in. Given he adores children, we feel he would be a great fit for a family with older kids or teens. Eddie has met a few dogs and seems to enjoy playing with them, we think he would like to share with a laid back female dog of similar breed. Eddie has not been been assessed with cats at this stage but we think he might like them a little too much and the same would apply to pocket pets. 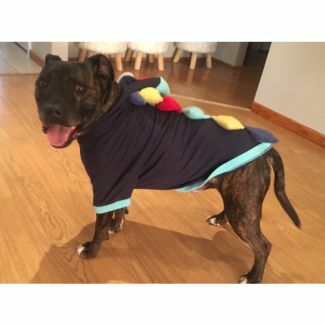 Being a five year old Staffy, Eddie is an active chap who will appreciate a daily walk and play time. Families with one parent who work from home or stays at home during the settling in period, would be ideal. Eddie could do with some training on lead and in general but he is super food focused and will pick these up quickly. If we could sum Eddie up so far, we would say outgoing snuggle bum who likes to kiss his people to let them know how much he appreciates them. Please call us if you would like more information about fostering Eddie. Ladies and gents are you partial to a spunky red head and feeling a bit lonely? Well we might just have the perfect match for you! 😉 Meet Spar(ticus)! 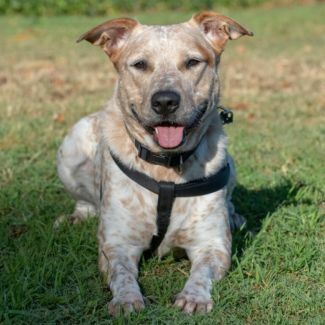 A handsome chap, Spar has the cutest red freckles and a personality to match. He is an absolute sweetie, who promises not to break your heart or let you down. And if you thought you may need compromise intelligence for dashing good looks, think again - he is the full package! Being in touch with his sensitive side, Spar is down for cuddles on the couch, particularly with his best mate. 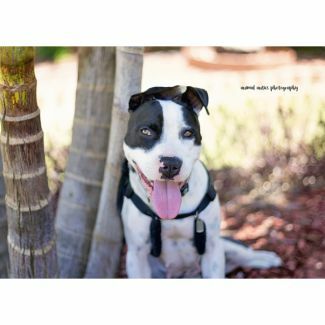 He is a nice boy who will be good with teens and happy to share the love around with other pupsters. In fact he adores other dogs so if you have an existing playful dog, Spar would be the perfect fit. An active but calm lad, Spar enjoys games in the back yard chasing this favourite ball, camping trips away or water sports - he loves water. With his cheeky grin and charm, he will appeal to those looking to give a special boy a chance to know what real love is. If you are looking for a partner in crime - we guarantee you this one is a keeper! He particularly bonds closely with men, so will be the loyal best mate who never strays from your side. Spar is very well behaved, house and toilet trained, listens to instructions, and even suitable for full time workers. 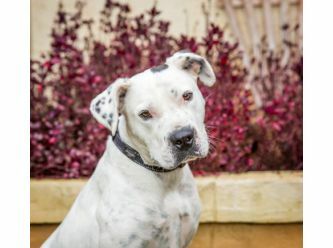 We think this lovely boy will thrive in a home where he can be included as part of the family and would like a dog who likes to learn new tricks, but is also laid back enough so Spar can have his down time. Whether you are a single lady or lad, or a young couple who have been waiting for a dog friendly dog over the puppy stage, give us a call and let us arrange a date for you to meet Spar.